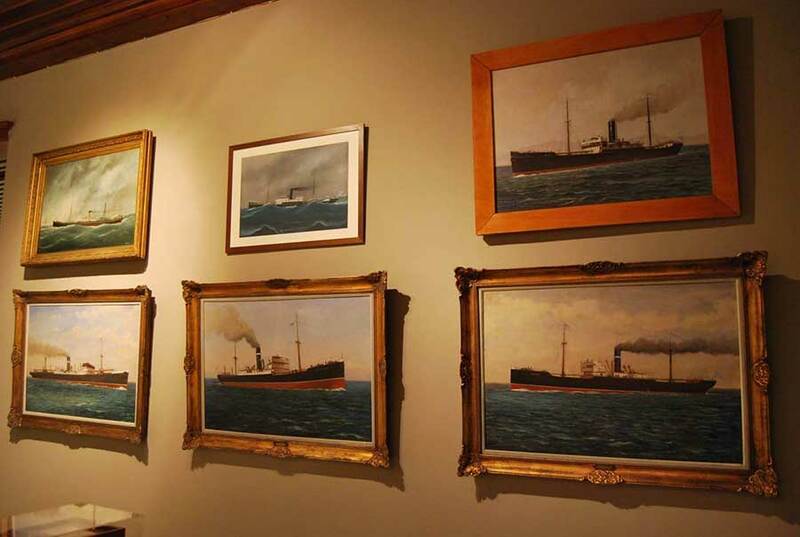 In 1918 the Historic File Museum of Hydra is founded. 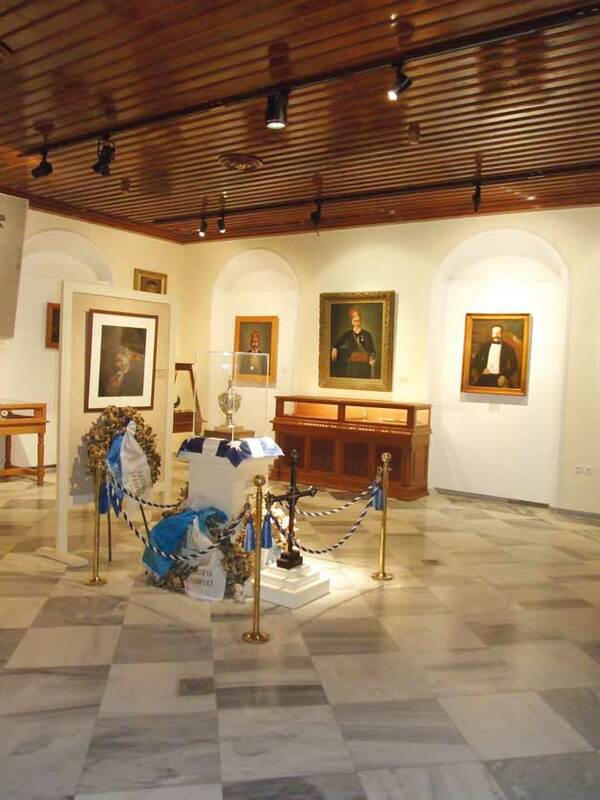 It is housed in a building that the ship-owner and benefactor Gikas N. Koulouras, donated to the Municipality of Hydra. The Museum is located near the Harbour Authorities, to the east side of the port. Αntonios D. Lignos, doctor and Mayor of Hydra for over 40 years, tried with great efford to sort and transcribe all the files of the island of Hydra, which he fount in storerooms inside the Holy Church of Dormition. That was the first try to create a File-Museum. In 1952 Gikas N. Koulouras donated the building to the State. 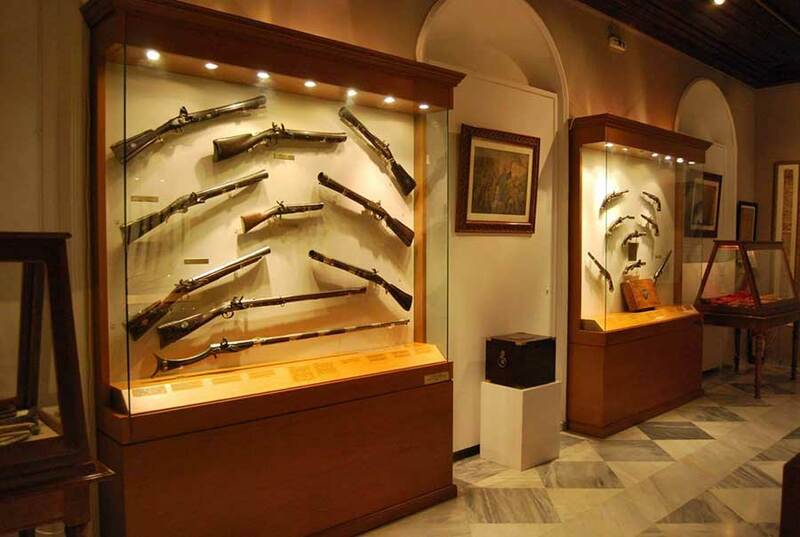 Since then the Historic File Museum of Hydra operates as public service bureau. 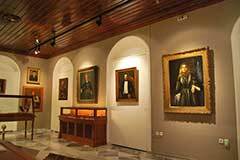 In 1972 the building broke down and in its place is built the today Museum with the care and surveilance of the former Bishop of Hydra-Spetses-Aegina Ιerotheos. 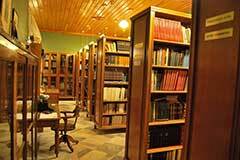 The Historic File Museum accommodates the library and the files and archives of Hydra. 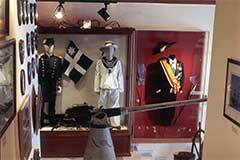 The Museum operated in July 1996 and since then it runs daily for the historians, researchers and the public. Inside the Museum is the File division, the Museum division and a Library. Purpose of the File department is the detection, the consentration, the sorting, the filling and the publishing of all the files (history, civilation, folklore), that exist in Hydra. In this Department, the file material can come from many sources. Some of them are the Public Services of Hydra and from individuals. These files are important source of historic research for the place of Hydra and promote the important role that Hydra played during the 18th - 19th Century. A big part of the file material have to do with the file of the Municipality of Hydra (1708 - 1865). 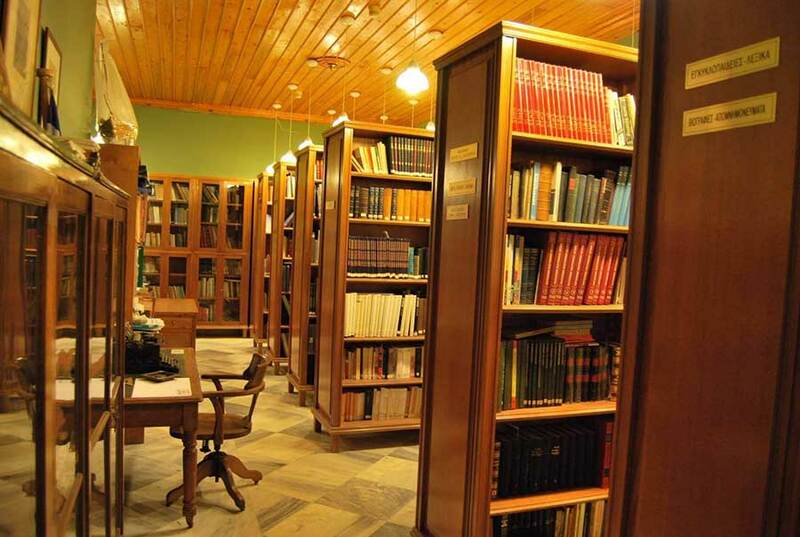 There are 18.000 documents, manuscripts, codes and books which write down the rebellious and after-rebellious times of The Hellenic History. Also there are educational files, administative files, files from the church, from the middle of the 19th Century to our days. 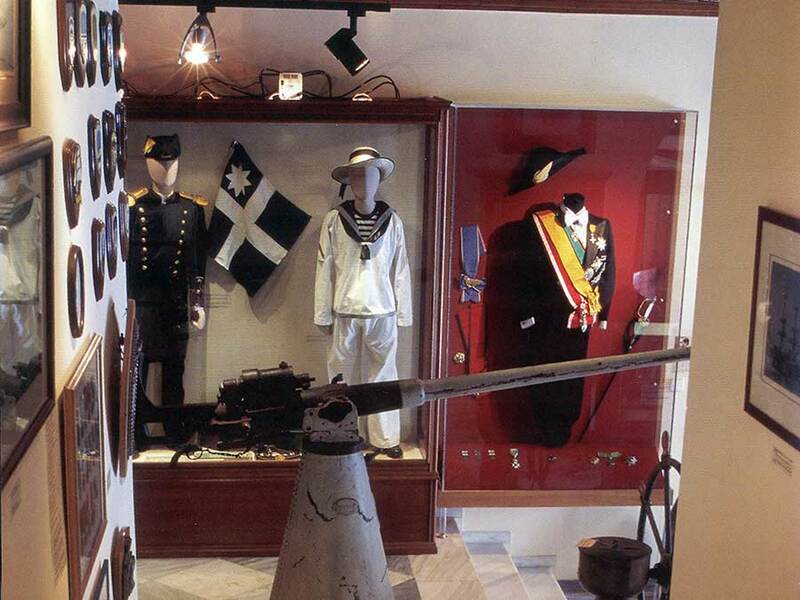 The ground floor, in which are displayed exhibits from the Balcan and first and second World Wars and in the antechamber there are traditional costumes from Hydra and figureheads from battleships. 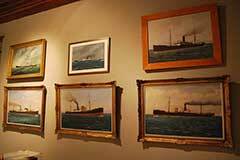 Also there is a wonderful historical picture gallery with arts from many great greek and foreigh artists. 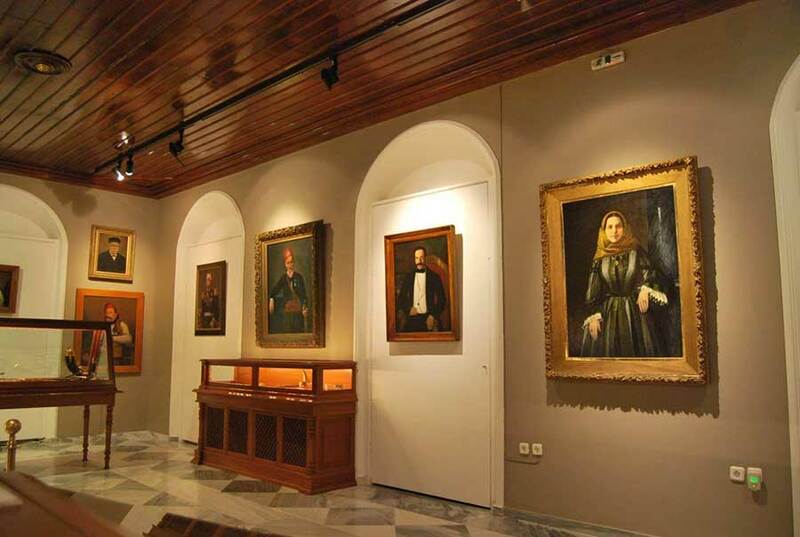 To the walls of the staircase, the visitor can see portraits of the heroes of the greek rebellion, made from known artists, like Panagiotis Tetsis and Dimosthenis Kokkinidis. There are also exhibits of works of art from 18th and 19th Century, guns from the war, nautical maps and the map of Riga Feraios. 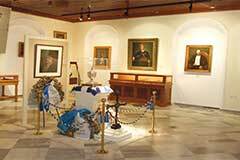 In this place is also been kept safe the silver urn with the stuff heart of the Admiral Andreas Miaoulis. 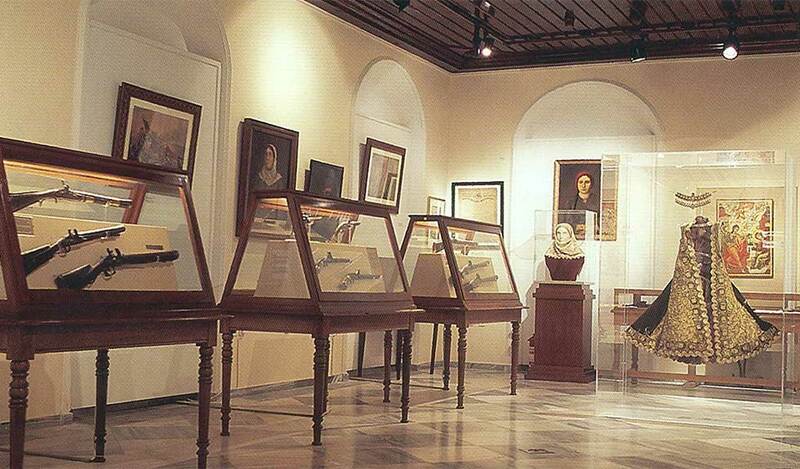 The Library is located at the groundflor of the Museum. It includes 4.000 valuable books, mostly from the 18th Century and everyday new books, newsparers and magazines are keep comming. The Museum is located near the Port Authority.